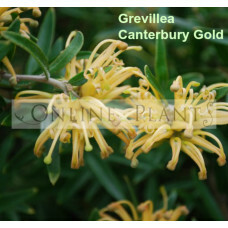 Grevillea, also known as silk oak, can make a style statement in the home landscape. 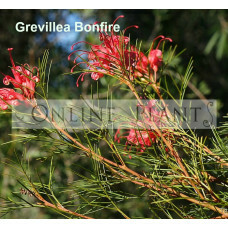 Originated in Australia, Grevillea is referred to as a skyline tree with a lot of vertical accent. This evergreen tree grows to a height of 100 feet tall and can live around 65 years. The wood is very brittle and is used for cabinet making. The leaves are feathery and look like foliage of a fern. It produces bright yellow and orange flowers during spring season. 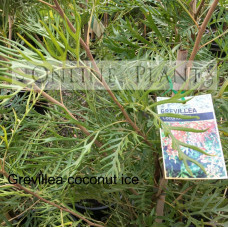 Grevillea should be planted in a suitable location in your garden ensuring that there is plenty of room for the tree to spread. It is best to plant them in an open area in a well-drained soil and full sun. Though the plant is drought resistant, you must water immediately after planting them. 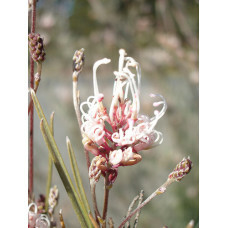 Grevillea does not require much more care and maintenance than watering. However, the canopy base should be trimmed occasionally to ensure proper growth. Keeping the soil moist in summer is very essential. You must watch for pests like caterpillars and should be eliminated quickly using organic pesticide. 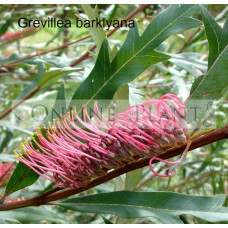 Willing to buy Grevillea online Australia? 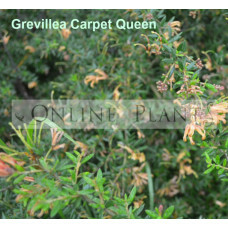 Look no further than Online Plants that offers Grevillea for sale online. 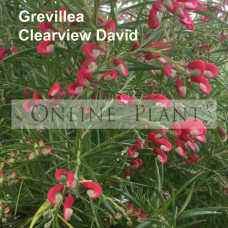 From beautiful saw-toothed flowering species to new release forms, we have more than 100 species of Grevillea plants to choose from. 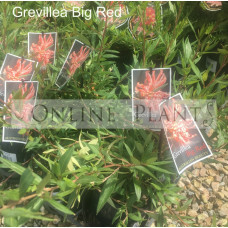 Grevillea Moonlight, Apricot Glow, Bonfire, Ground Cover,Rosmarinifolia, Forest Rambler and Olivacea are some of the varieties we stock and supply across Melbourne, Sydney, Adelaide, Canberra and Brisbane, metropolitan and regional areas. 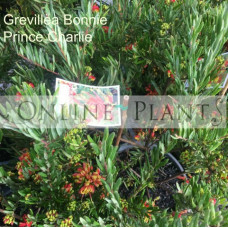 Online Plants has an extensive range garden plants, trees and shrubs. Available for fast delivery to your door in all Melbourne, Sydney, Adelaide, Canberra and Brisbane, metropolitan and regional areas. 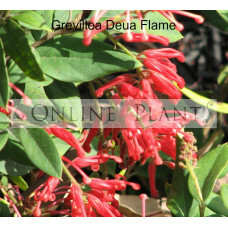 Grevillea deua flame is currently available from Online Plants. 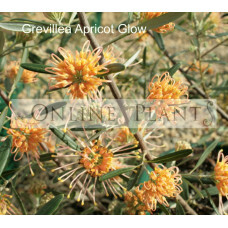 A terrific new Australian native var..
Grevillea Apricot Glow - A beautiful, evergreen shrub growing to 2mt high and wide. 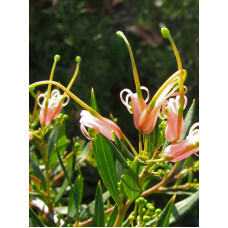 Produces massess..
Barklyana Gully Grevillea - An evergreen tree or shrub. It grows up to 8 metres in height and flower.. 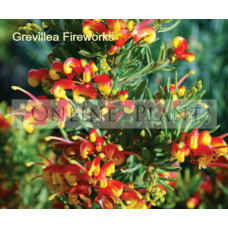 This is a fast growing, Grevillea is hardy Australian native shrub that produces a profusion of ligh.. Description: Medium shrub 1.5 to 2 metres high and 2 metres wide, with dark green fern like leaves. ..
Prolific flowering grevillea with clusters of bright red/yellow flowers throughout spring and summer..
Grevillea Bronze Rambler - A vigorous evergreen ground cover bearing attractive red toothbrush flowe..
Grevillea Canterbury Gold - Low growing hardy spreading grevillea with grey-green leaves and yellow ..
Grevillea Carpet Queen - Prostrate groundcover with beautiful apricot colored flowers in spring and ..
Grevillea Clearview David - An erect shrub to 2.5m high. The leaves 1.5-3cm long and .5-2mm broad, n.. 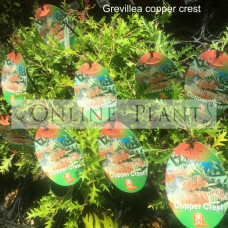 Description: Medium shrub 2-3 metres bright green foliage with red/pink brush type flower heads with..
Grevillea Copper Crest - An evergreen low spreading groundcover. 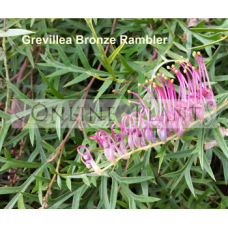 Copper coloured foliage with pink f..
Grevillea endlicheriana, also known as Spindly Grevillea, is a shrub. It grows to between 1 and 3 me.. Bright red and yellow flowers from autumn through spring. Soft blue green foliage. Both frost ..
Small/Medium spreading shrub up to 2 metres high, 3 metres wide, with dark green oval leaves and ver..